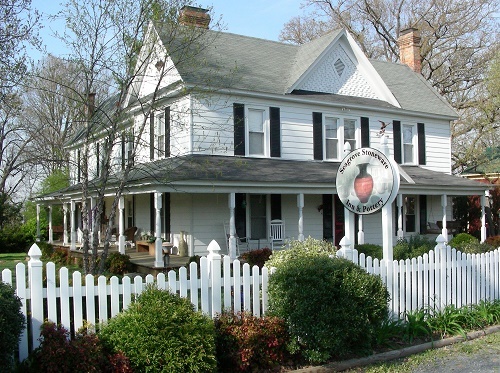 Seagrove Stoneware Inn & Pottery, built in 1920, features spacious rooms decorated with original artwork and pottery from across the country, gas fireplaces, picnic area, and a large front porch. It is conveniently located in downtown Seagrove within walking distance of approximately 12 Seagrove area potteries and driving distance of more than 55 additional area potteries. Other local area attractions include the NC Pottery Center, Pisgah Covered Bridge, and North Carolina Zoo.